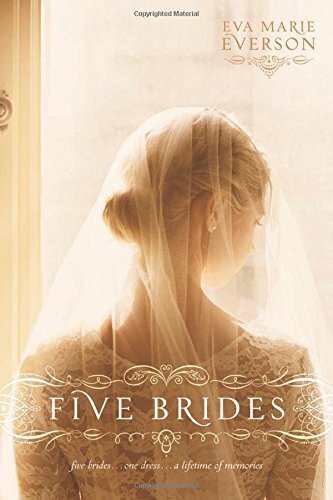 Five Brides by Eva Marie Everson is the most delightful Christian historical romance that will warm your heart. Set in the 1950’s surrounding five friends, the reader is treated to the customs of the day. Parents were respected and morals expected to be high. Unmarried mothers were frowned on but every child was seen as a gift from God no matter what the circumstances of their conception. There were some gentlemen within the novel as well as some cads. Infatuation blinded women to the character flaws in men. We need to be true to ourselves. “You deserve to be loved… Not for the person your boyfriend is trying to make you into, but for who you are.” If someone is pressurising you to change, they are not Mr Right. Finding true love is the order of the day. Love can often be found in the most unlikely of places and even when we are not looking. 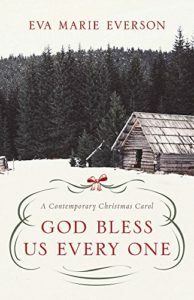 God Bless Us Every One by Eva Marie Everson is a delightful festive romance. It is just perfect to read on a cold damp day. It will instil a little warmth in your heart. Each chapter opens with a paragraph from Charles Dickens A Christmas Carol. It is almost two books in one. Not only does the reader have a taste of a classic tale but there is a history lesson too. 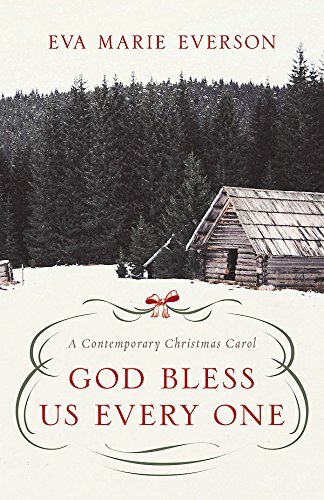 The history of A Christmas Carol and Christmas itself is included. Learning whilst reading – it can’t be bad. The story deals with memories of Christmas past and tells us of Christmas present. The reader can make their own assumptions of Christmas future.